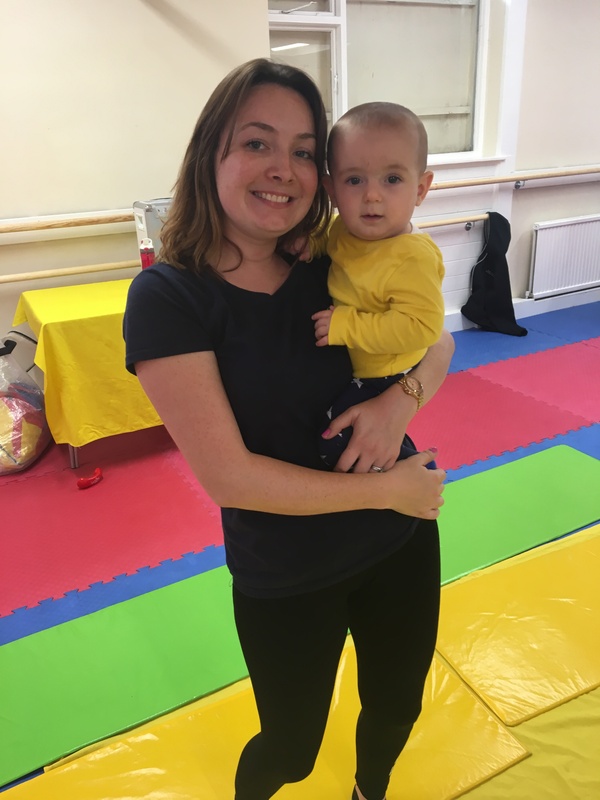 For many years I’d heard (mummy) friends mention all the different baby classes and groups they went to, so I found it quite exciting to join such activities when Henry came along. I always intended (subject to how well both baby and I settled in to our new found lifestyle) on venturing out soon after Henry arrived and to simply, ‘get on with it’ (aka – enjoy our new life journey!). He was two weeks old when I first took him to a Baby Sensory class. Feeling a little out of my comfort zone, with my husband fast escaping the premises when he witnessed he was the only male adult present, I nervously sat down in the circle and as soon as the Baby Sensory opening song “Say Hello To The Sun” came on, I mentally cried “oh good grief – what HAS my life become”! This experience was a far cry from my life pre-motherhood. 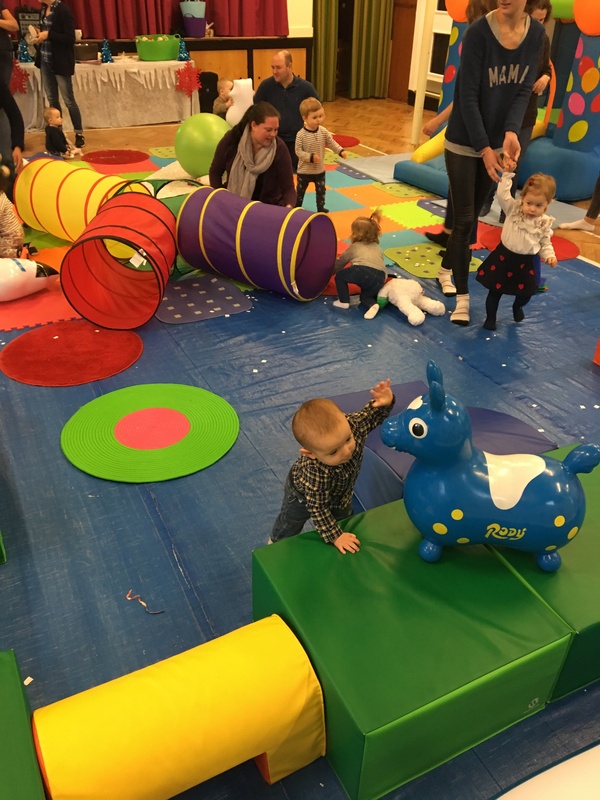 Coming from a bustling London career in glossy magazines, I’d never dreamt I would now be sitting on colourful mats, amongst 20 other new parents, enjoying sensory play, shaking rattles and singing songs. After spending a few sessions singing “Say hello to the rain, pouring down on me”, I was in full embracement, singing along, acting all actions and expressions and full absorbing myself in to the 45 minutes of sensory fun that was just about me and Henry – nothing else and no one else. This was our little weekly social outing together. I LOVED IT!! Cowboy week was one of my favourite themes! Henry was quite young when we started, sometimes I wondered if too young. Either way, it got me dressed and out of the house, and it got me used to looking at the clock again too! I slowly started to make new (and life long) friends as well. 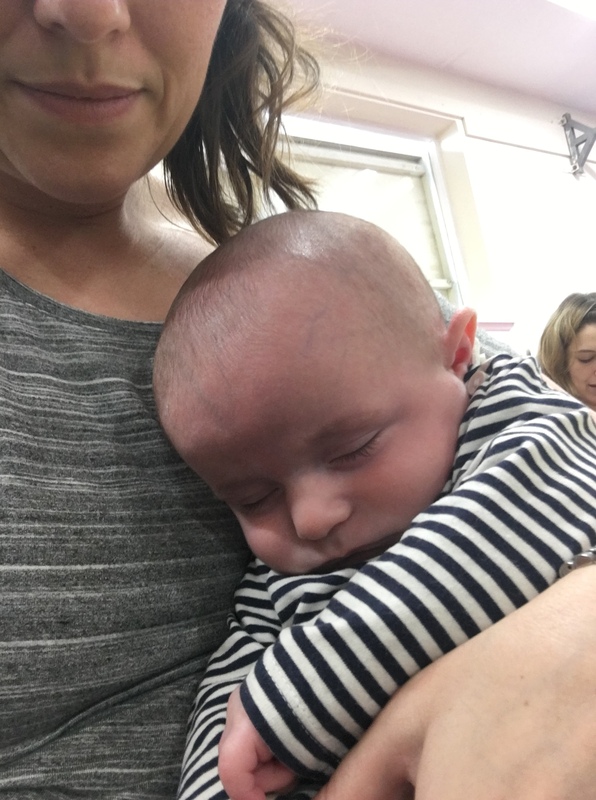 Sometimes Henry slept during a class, or needed feeding or changing, or even spit up a load of milk during his reflux phase, but it didn’t matter. Everyone there is in the same boat, all experiencing the same motions, and it made me feel at ease and able to enjoy and embrace the experience. 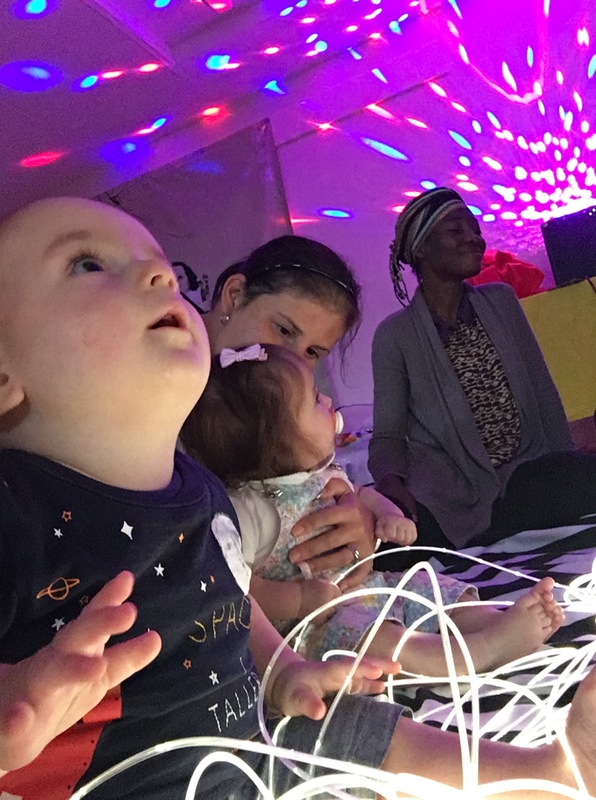 I personally recommend the sooner you can start Baby Sensory classes the better. Not only does it get you out of the house, chatting to other parents and all that jazz, but it’s a wonderful journey for your baby. 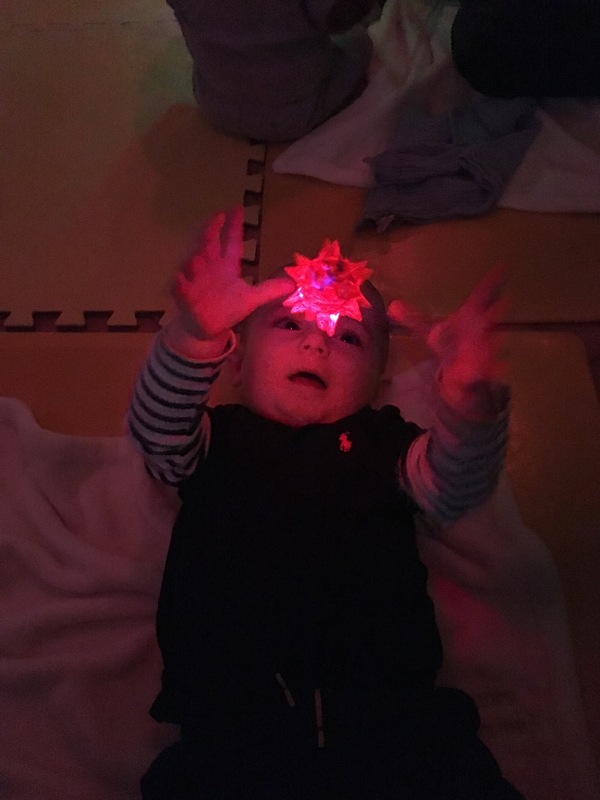 I really believe Henry learned and developed so much from using his senses at every class – whether it was sound, signing, touch and of course sight from all the colourful props, lights and effects. I also took away lots of inspirational ideas to recreate inexpensive sensory play at home during the week. 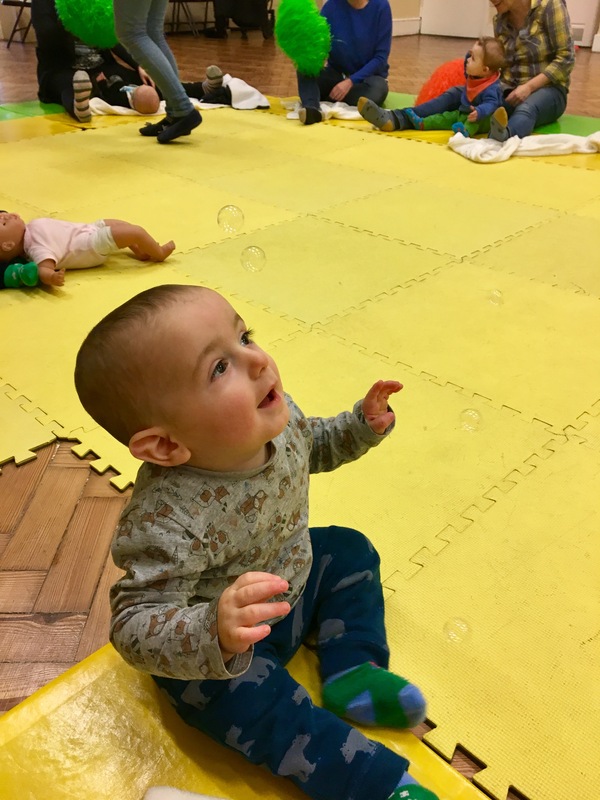 What are Baby Sensory classes? 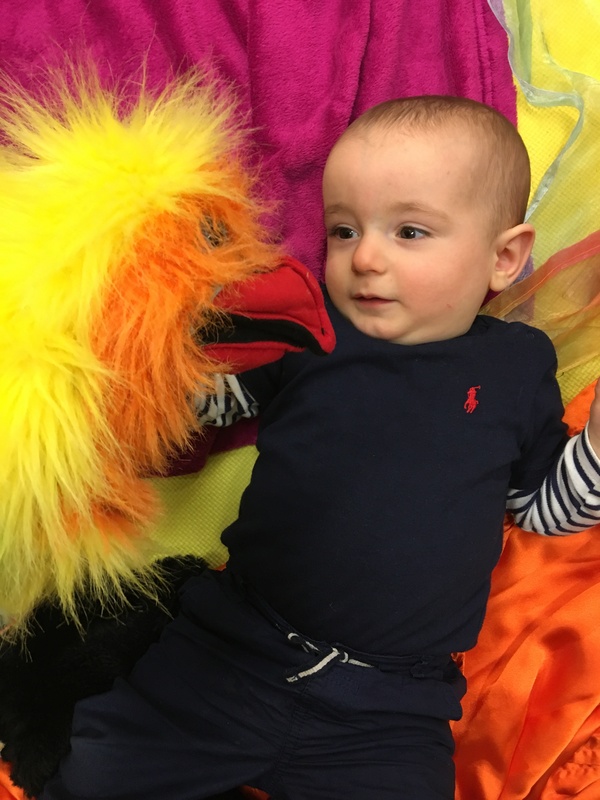 We offer classes for younger babies (newborn to 6 months) and older babies (6 to 13 months). 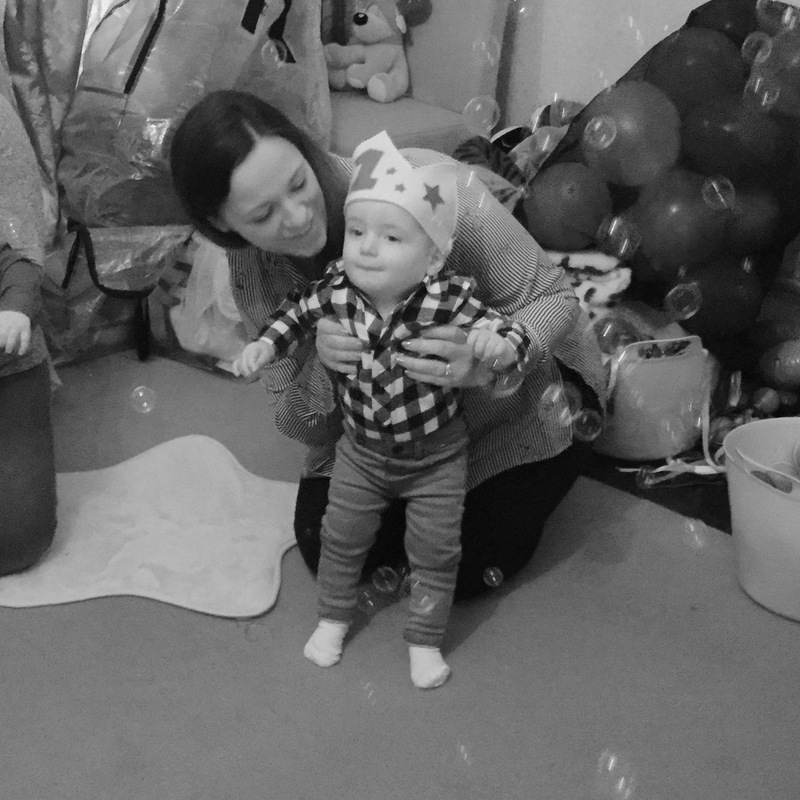 We also offer sessions from birth to 13 months – perfect for friends who have babies of a slightly older/younger age. Baby Sensory, Toddler Sense and Baby Sensory Foundations founder, Dr. Lin Day (PhD., M. Phil., PGCE., FETC., BSc., Dip Ed.) is one of the UK’s leading parenting experts. 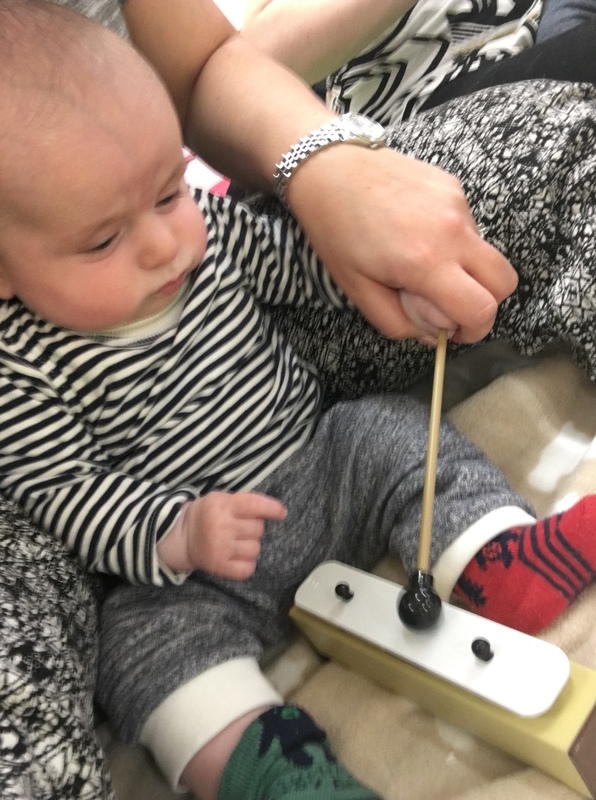 Baby Sensory is backed by over 35 years of research in childhood learning and development. That’s why we always explain what we’re doing so you can make your baby’s first year a truly precious time of learning and sensory exploration. 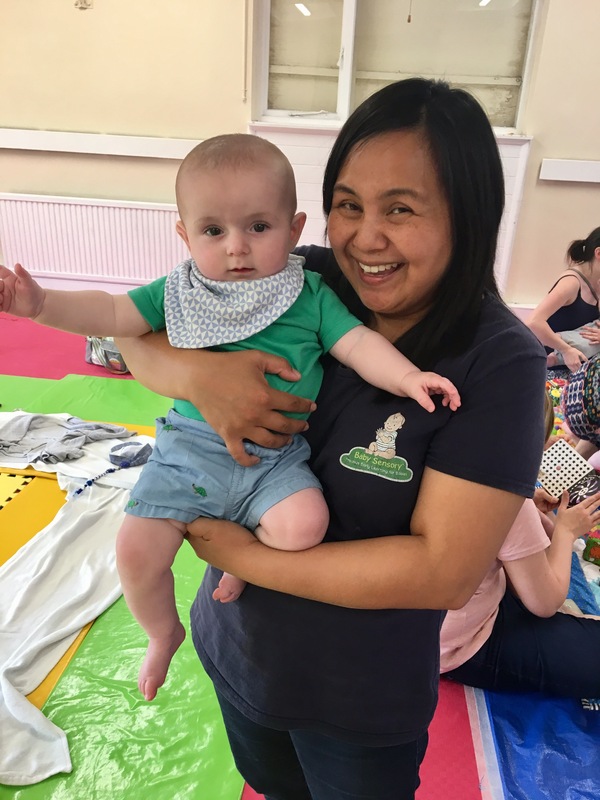 • New parents meet with others at the weekly sessions and create a self supporting community. The most miraculous advances in your baby’s brain structure occur in the first 3 months of life. During this period, an astonishing 2 million new brain cell connections are created every second. By the end of the first year, your baby’s brain will have doubled in volume as a direct result of sensory learning from birth! 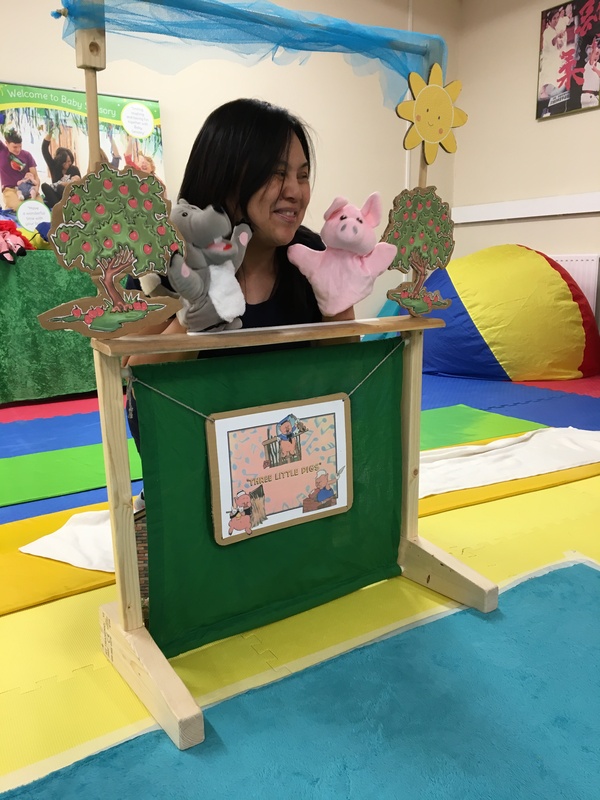 “A sensory environment rich in sights, sounds, smells and textures promotes brain growth, increases the capacity for intellectual development and forms the foundation for all future learning.” Dr. Lin Day. 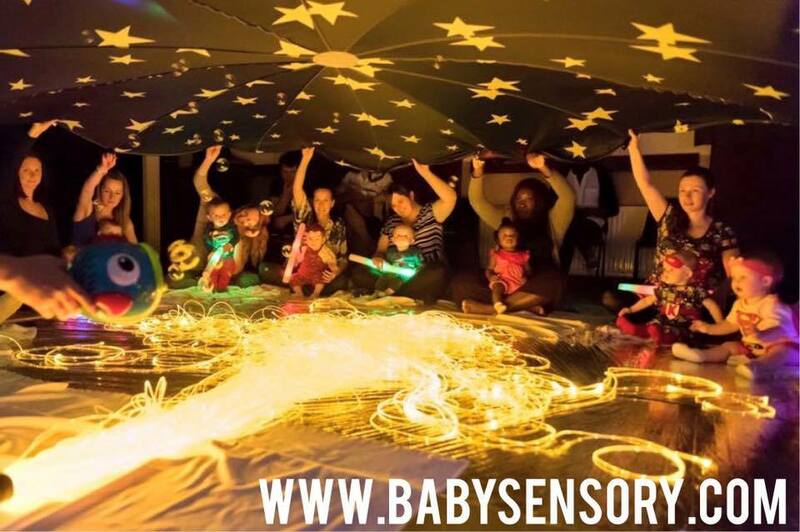 What makes it unique compared to other “sensory” classes and baby groups? Every activity has been carefully designed to stimulate your baby’s senses and move development and learning forwards. 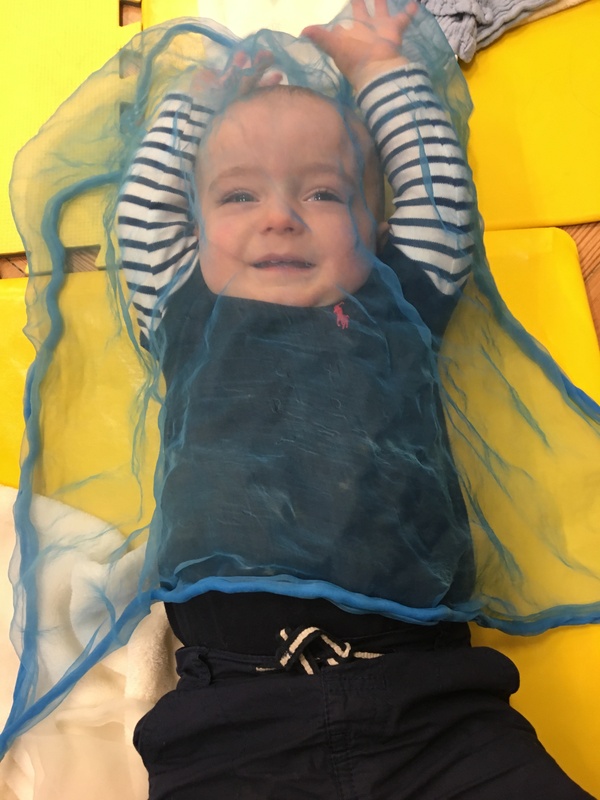 And behind every Baby Sensory session, there’s an incredibly detailed lesson plan backing up everything your baby touches, sees, hears, smells and feels! Can be oh so tiring…!! 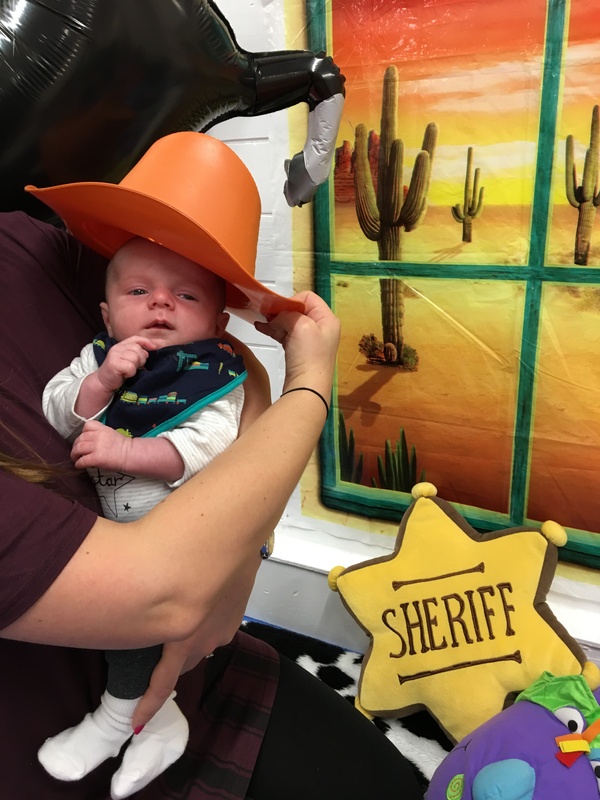 • The sessions are fun for parents and babies and every session is different. Thus once a parent has brought their baby along to one session they can’t wait to come back the next week. 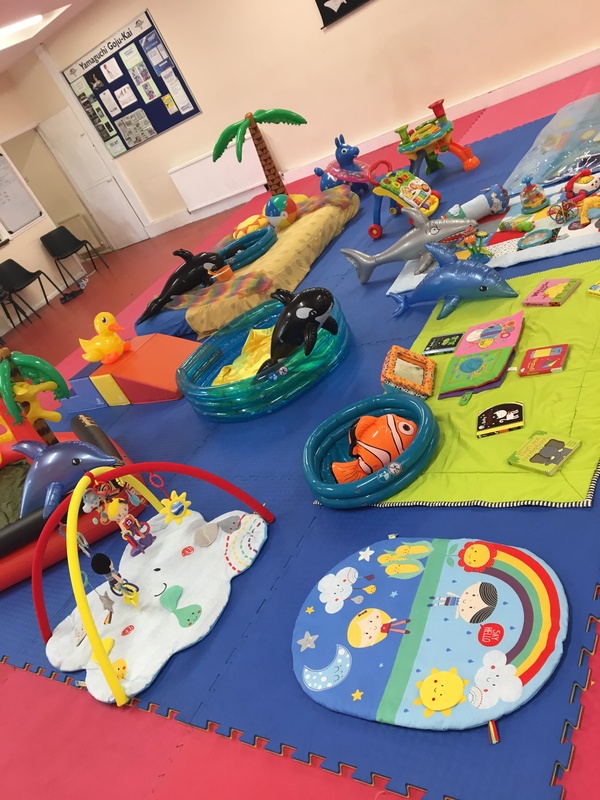 • Each session incorporates an exploratory play element which is a perfect time to socialise and build relationships with other parents and babies. 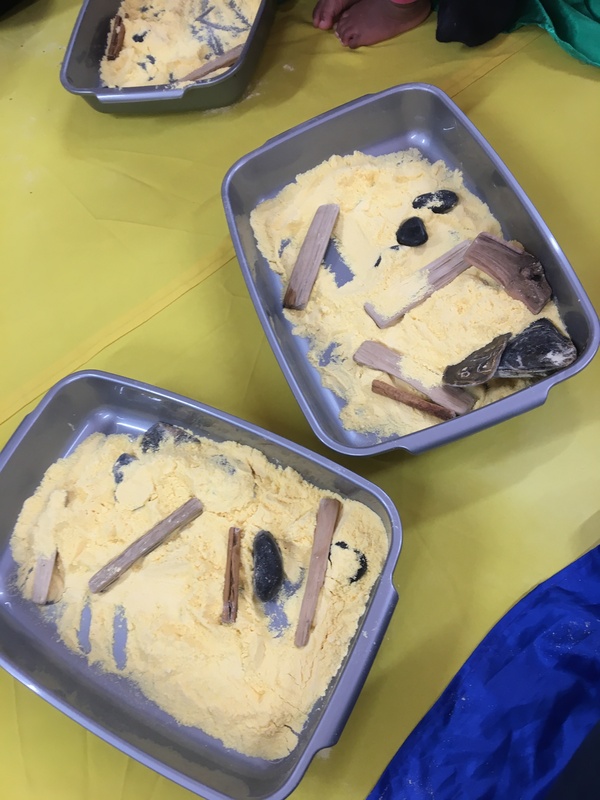 • Every session includes ideas for parents to try out at home using materials that are readily accessible. Many parents involve their partner in these activities at home and thus extend the benefit of the programme beyond the weekly session. • The overall programme provides a rich environment full of interesting sights, sounds, smells, colours, materials and language. This will help to build a foundation that will make all subsequent learning easier. • The 40 session plans also provide a training programme to the course leader, building in complexity with each successive term. Each lesson plan includes detailed information about the learning and developmental benefits of the activities. The plans also provide reference to the research which underpins these activities. Where the love of ball pits began! 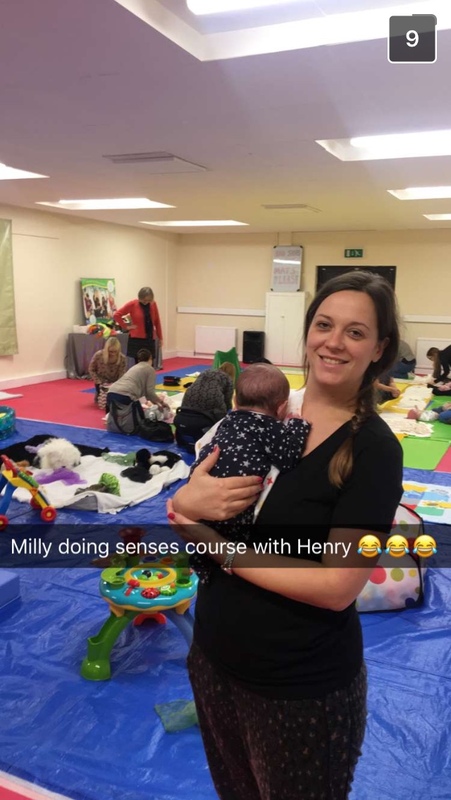 “I loved running Baby Sensory classes – seeing the babies learn and develop and my parents having so much fun. I believe that early education gives babies the very best chance in life: a head start that makes a real difference to future learning.” Dr. Lin Day. What do we do in our classes? 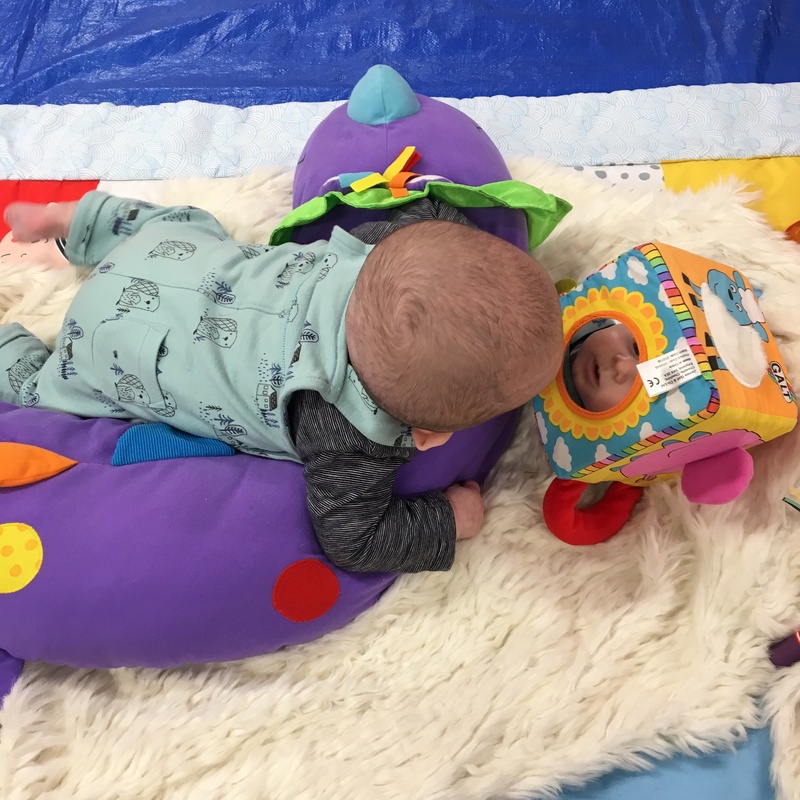 Every week is different and introduces new sensory development activities supported by useful information to help you interact with your baby and discover what he or she can do. There’s always something new and exciting to look forward to. You’ll always remember the moment your baby produces the very first ‘Say Hello to the Sun’ sign – our unique signature song played at the start of every session. 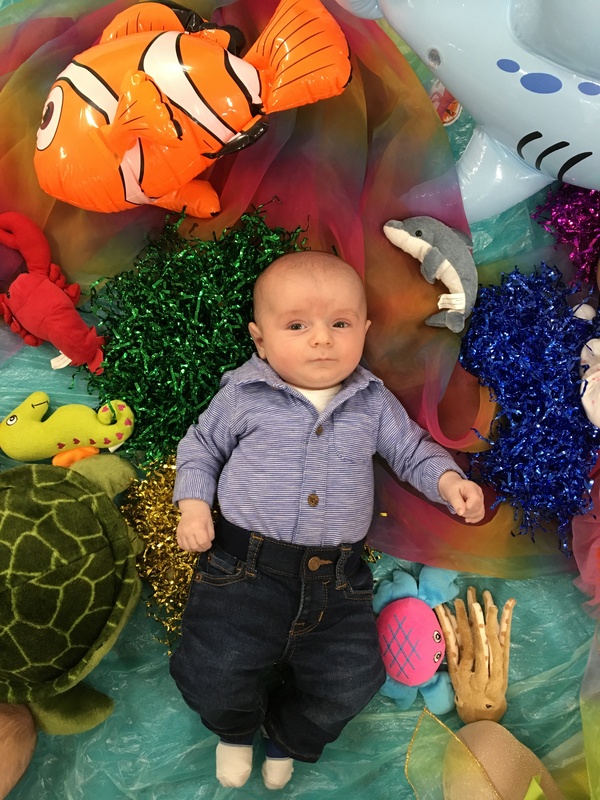 Our Baby Sensory session lasts one hour and is broken down into play-rest-play activities, which mirror your baby’s natural daytime cycle. 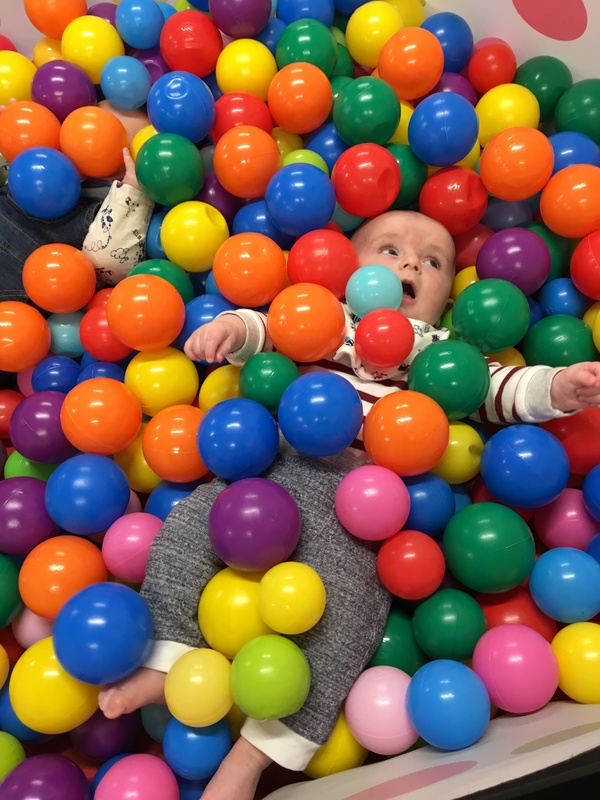 During this period, you’ll enjoy sensory activities followed by a break in the Baby Sensory play area where your baby can explore our unique award-winning ‘Say Hello’ toys, and where you can share top tips and experiences with other mums and dads, and make new friends! 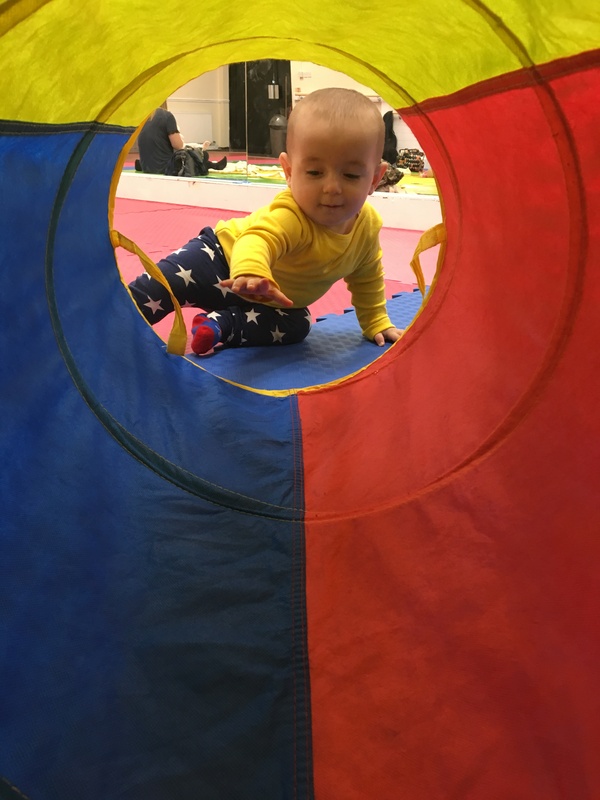 When it’s time to return to the sensory area, you and your baby will enjoy activities that stimulate sight, hearing, hand-eye coordination, tactile awareness, exploration and brain development. 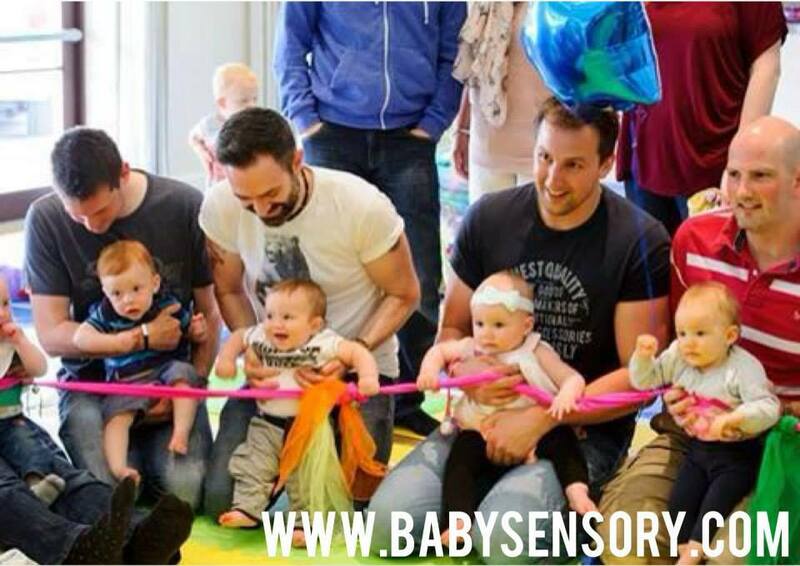 Throughout the year Baby Sensory offer a variety of special classes such as ‘Daddy and me’ where baby’s attend with their Daddy’s or male figure in their life, themed specials such as Valentine’s, Mothers Day, Fathers, Day, Easter, Halloween, Christmas and many more – these are often take place on a weekend as a family event. 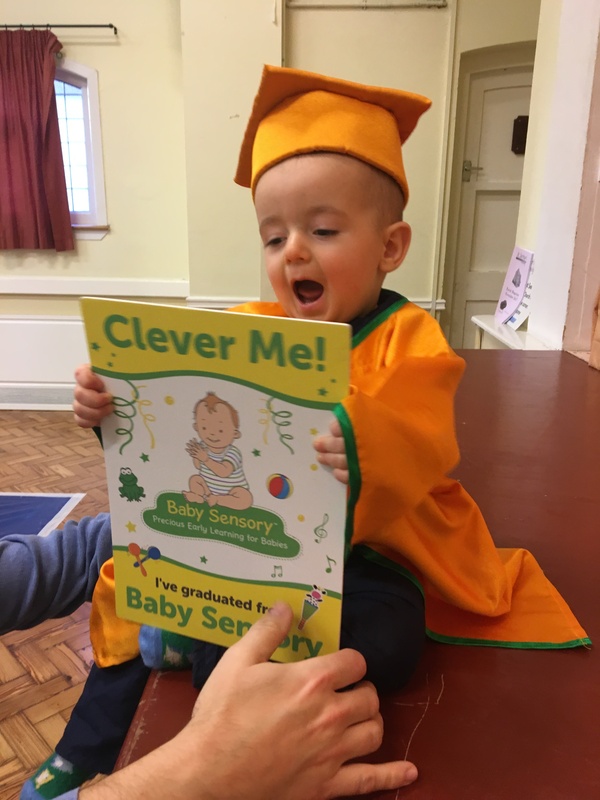 Baby Sensory has over 400 Franchisees and Class Leaders, so you’re never too far away from a class to join. This was somewhat amusing…!! Oops! At first, Baby Sensory is bound to be rather an overwhelming experience for parents and their baby. You will probably find that your baby reacts by crying or by becoming more clingy than usual. These are normal reactions. Every parent attending is in the same boat, which hopefully makes it less daunting as the weeks go on. Who knew bubbles could bring so much joy! If possible, adjust your baby’s nap times, so that so he is not tired at the start of the session. 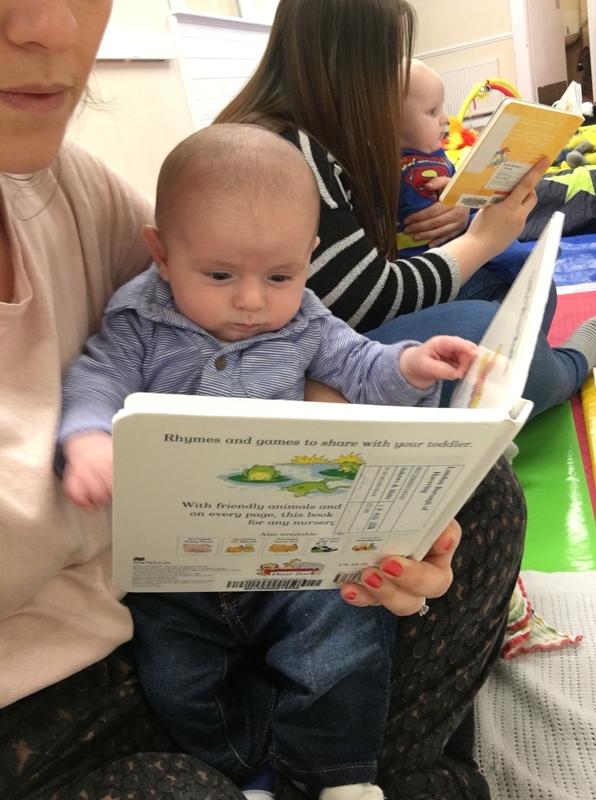 Spend some time together feeding, cuddling or reading to your baby before the start of the session. This will help you both to relax. Try not to worry – some babies take to change very easily, while others take longer to settle in. Most babies take 2 or 3 weeks to adjust to the routine and the activities and are happy and settled by the 4th session. Ensure that your baby’s favourite toy, special blanket or comforter is readily available whenever it is needed. Follow your baby’s lead- if he is tired or unsettled, offer comfort whenever he needs it and at any time during the session. A little extra attention and love will help your help your baby to cope with his feelings. Try not to miss a session during the settling in process. Your baby needs to become familiar with the setting, the routine, the activities and new faces. Bring your partner/friend/parent along for moral support. Ask questions if you are unsure about anything or if you feel worried or anxious. The way that your baby responds to change will be affected by his temperament, how he likes to be comforted, fed and soothed and his age and stage of development. Take comfort in the knowledge that things will get better. The real rewards come when you see your baby learning and having fun in a warm, friendly and welcoming environment. 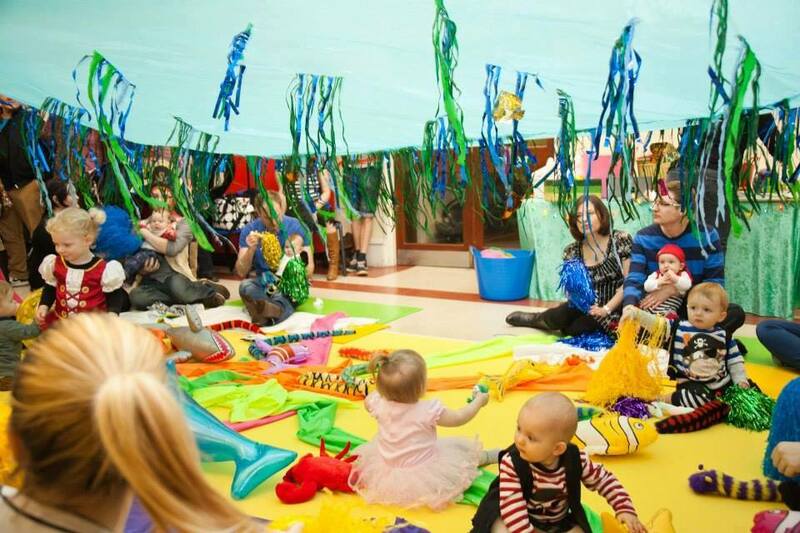 Baby Sensory offers the very best in quality, imagination, variety and resources. We have a fantastic reputation as the leading programme in baby learning and development. And we’ve been voted by parents as the number 1 brand for baby activities in 2017 on The Best for Baby (www.thebestforbaby.co.uk) website 2017. We’re thrilled to have won so many awards both nationally and internationally, and we’ve been recognized by many major companies, including Tommy’s baby charity, for the work we’ve done in creating such a wonderful experience for parents and their babies. Our reputation is well-earned and we want to share it with you! 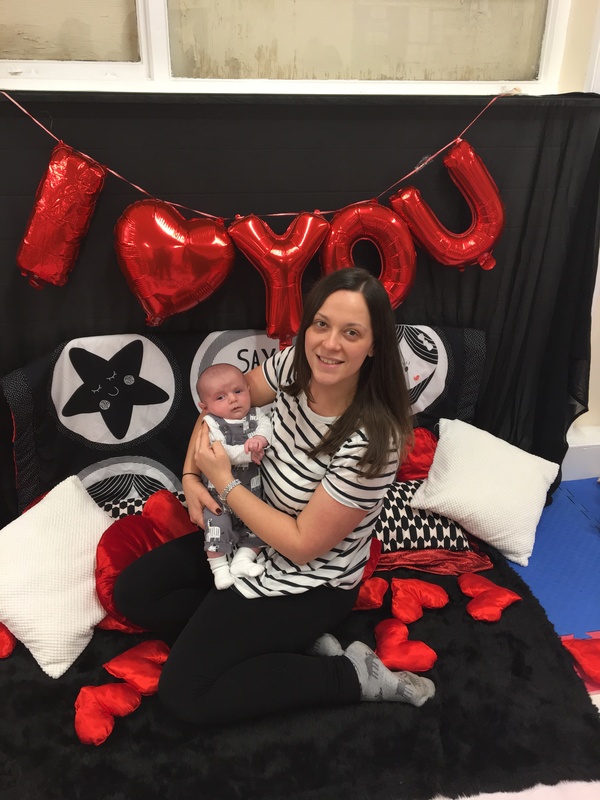 In 2017, Baby Sensory were WINNERS in SIX categories of the Essex Mum’s Awards and in the NATIONAL AWARDS known as What’s on 4 Little ones Awards Baby Sensory were awarded the BEST CLASS in the under 5’s category! 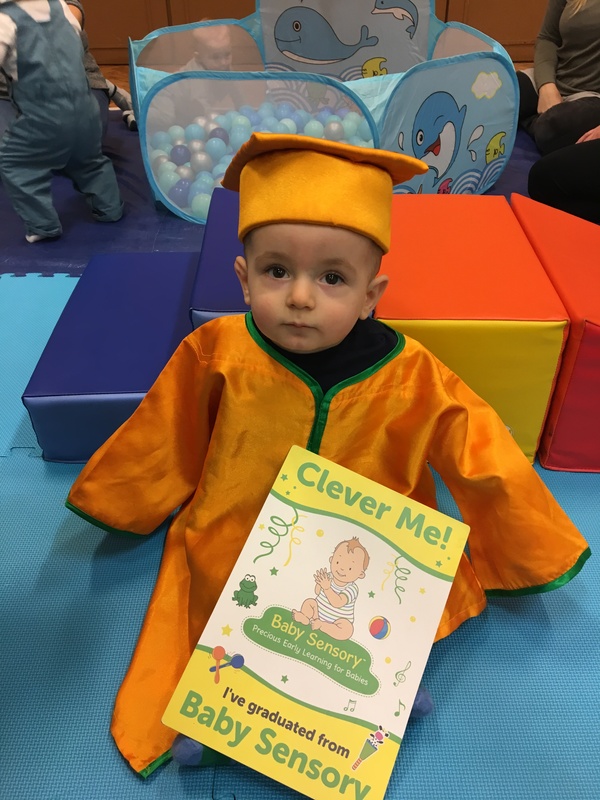 Not only that…..Baby Sensory Class Leaders won BEST CLASS LEADER – in lots of areas too! So book your Baby Sensory class today!! It’s all fun and smiles! 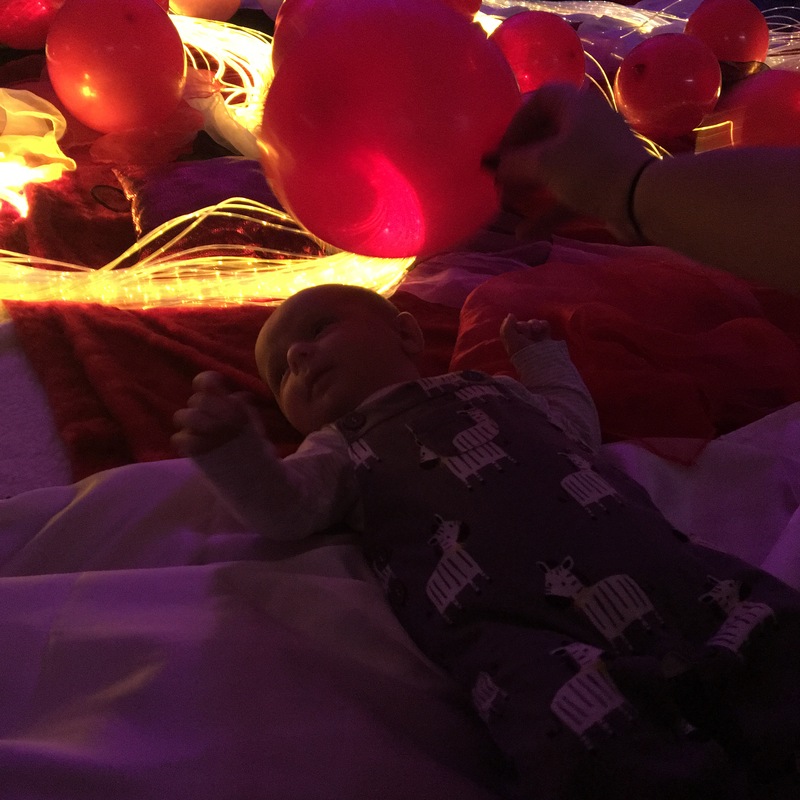 New friends made in classes and the wealth of sensory activities and information provide unforgettable memories for you and your baby. And when you’re ready to move on to the next big adventure in your baby’s life, there’s Toddler Sense ((babysensory.com/en/toddlersense). 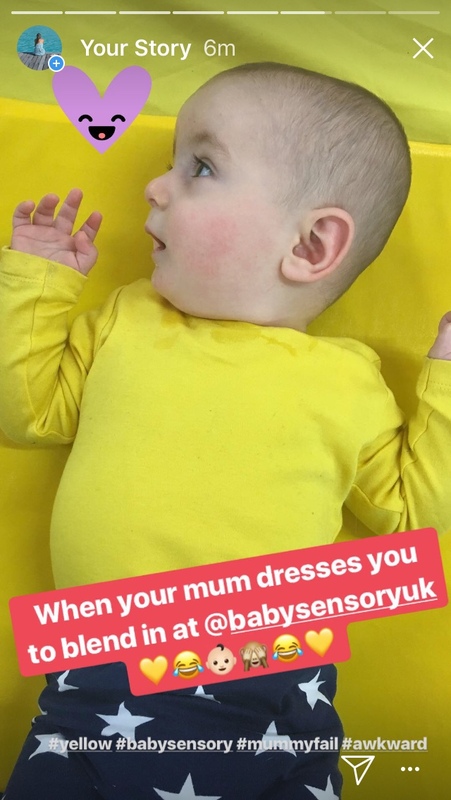 Thank you to Lauren for such a thorough insight in to all things Baby Sensory. 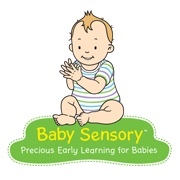 Baby Sensory is a national franchise, with classes all over the UK. Class leaders are often mums themselves who once upon a time attended classes with their babies before signing up to become a leader. To find your nearest class, visit wowworldgroup.com/find-a-class. 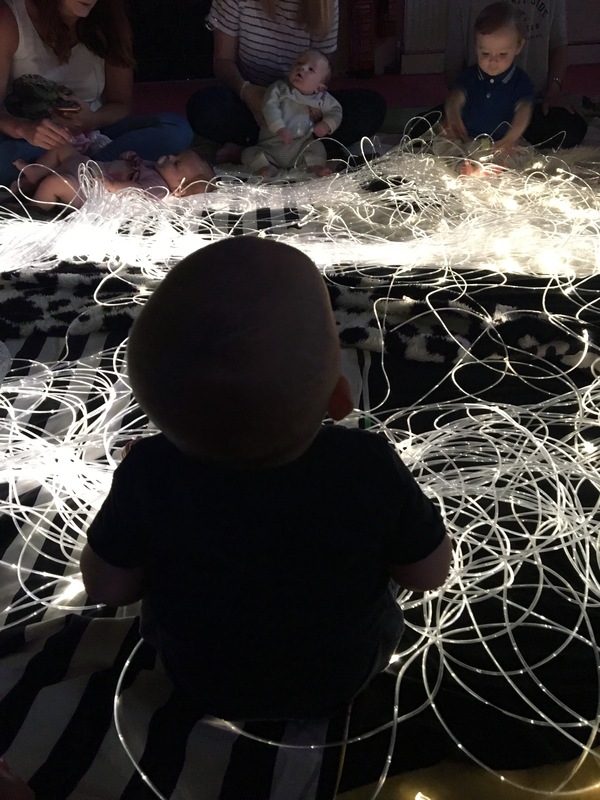 Thanks for reading – I’d loved to hear how much you enjoyed your baby’s Baby Sensory journey. Writing this post has been somewhat heartfelt. Scrolling back through thousands of photos to produce this photo diary, looking back at so many wonderful memories of Henry throughout his first year and seeing how much he’s grown, changed and developed. My heart melts looking back through such wonderful memories and experiences. I enjoyed every single class, I never missed a session!